1. Review the Zones of Regulation emotional regulation curriculum. 2. Ask the child/children to color each area the correct color that matches the zone in which that specific feeling/behavior belongs. I.e. the area with the feeling “bored” would be colored blue. “Bored” is a feeling in the “blue zone” according to the Zones of Regulation curriculum. When working in a classroom setting, it’s sometimes a good idea to pair students up and have them work together if they’re in the beginning stages of learning the Zones of Regulation curriculum. This promotes team building and problem solving. 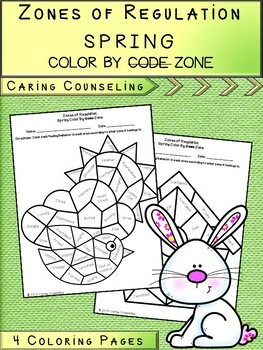 • What was hard/easy about identifying the different feelings/behaviors associated with each zone? • What feelings/behaviors that you read on this page have you experienced?